Unknown and Unrated | May your music always be fresh. May your music always be fresh. I don’t know what it is about girl bands that I love so much. Probably because if I could do life over again (and have a killer voice), I would have undoubtedly been in an all-girl band. Since starting this blog, I am constantly keeping my ears open for new music to write about. 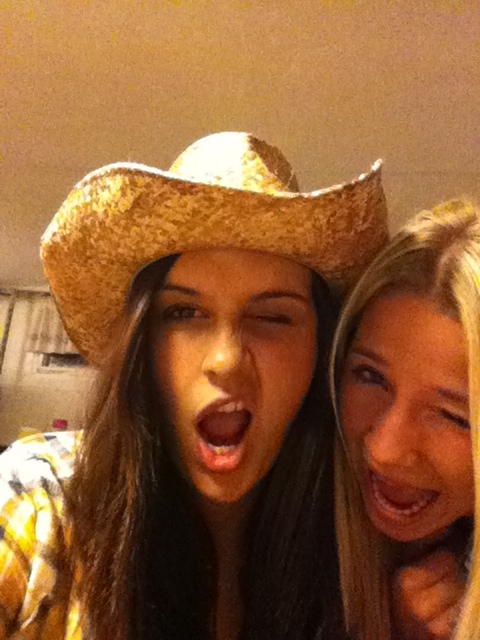 Last weekend I was in the car with my best friend, Hallie. Hallie is one of those girls that just loves those girl power, energetic, glam-pop songs ..the songs you can run forever too and feel like a different person. She introduced me to the song “The Wire” by Haim (pronounced like lime, but with a “P”). When she put this song on we did our typical jam out session in the car that we have been doing since high school. And since I haven’t been able to stop listening to the song…. The sibling rockers have blown up in the UK this past year and are slowly making their way to the United States. Since their debut of the album Days Are Gone in 2013, they have shown their capability in making it in the music industry. The Strokes, Rihanna and Mumford & Sons have all given them rave reviews on their indie pop tunes. In the Huffington Post’s online article back in October, they said the LA natives are taking Europe “by a storm.” The band’s plan for the future is a large extensive tour in 2014 throughout the UK and Europe. 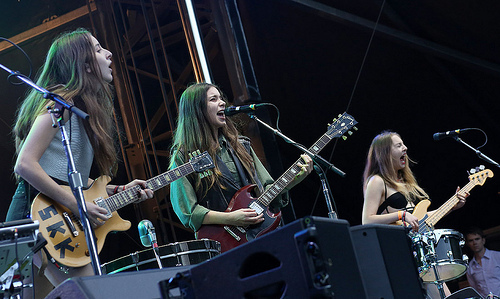 The three sisters (Este, Danielle and Alana Haim) grew up in Los Angeles and spent their childhood as part of family cover band Rockinhaim. 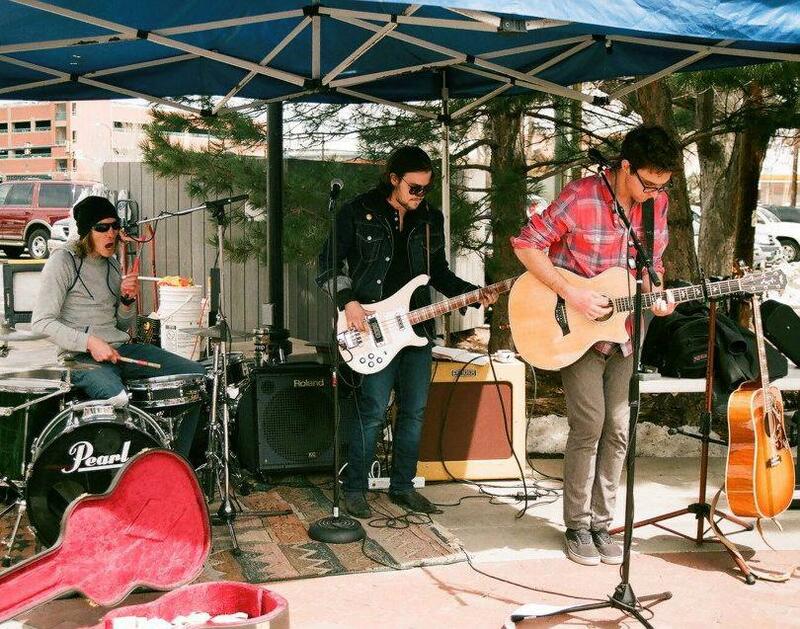 Together, they played at local venues and crafted their own R&B-influenced soft rock. After a few years, the sisters parted ways to get school degrees and go on with life until they gave it one last final shot. 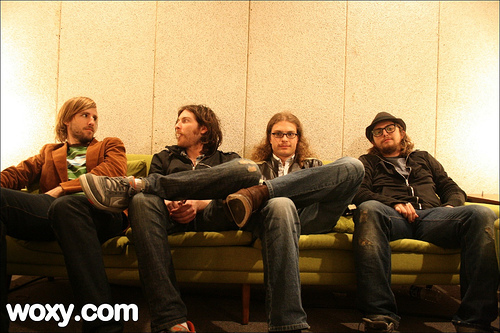 Since their debuts they have opened for Florence and the Machine and Mumford & Sons. After their performance at Glastonbury festival, they received a top ranking in BBC’s Sound of 2013 Poll and signed with Jay-Z’s RocNation management group. So keep your ears open people, they’re comin’. I was just listening to this song about an hour ago on the freeway, and I know that fellow drivers alongside of me had quite the show. But seriously, besides the awesomeness of the song and lyrics, the video makes it even better. The track deals with heartbreak in an uplifting and triumphant manner. Check it out below. 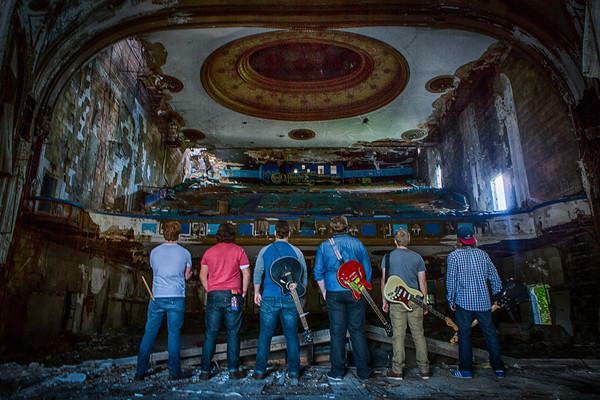 Be the first to hear from the band and follow them on Twitter, Sound Cloud, or FaceBook. Okay, so if you know me at all you would know I hate being serious (except when my shows are on…seriously, shut up). Being silly, pulling pranks and poking fun is something you’ll catch me doing on a regular basis. Especially with my dad by my side, we’re pretty good at it. Nothing makes me laugh more than musicians in the media today (cough…Miley Cyrus…cough). Although I think Miley’s actions are a total publicity stunt (and a genius publicity stunt at that), she and many other hot messes have inspired to me put together something to give my viewers a quick laugh. I toyed with an infographic site called infogr.am on “How to Get Famous in 2013”. If any Disney Channel stars, boyfriends/girlfriends of Justin Bieber or William Hung’s are tuning into my totally famous blog..uhh…sorry. Warning: Musicians that are actually good…don’t try any of these. Expect YouTube. YouTube’s good. 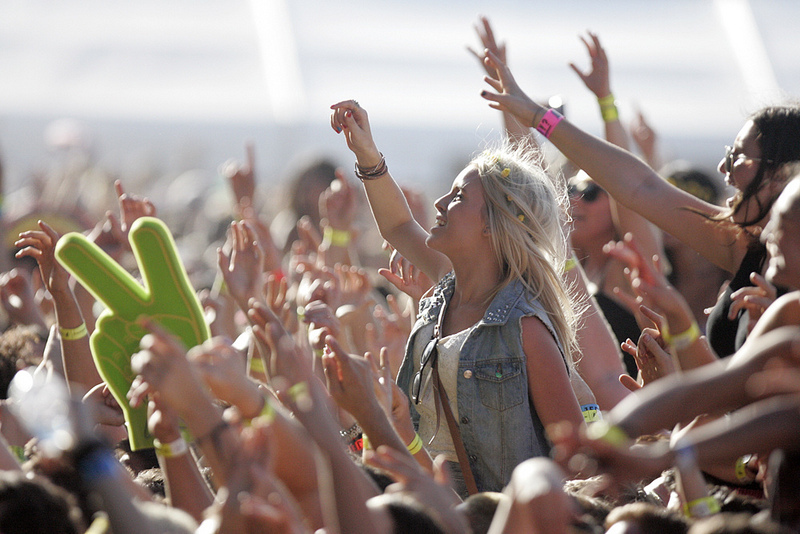 When I think music festivals, I think a weekend filled with headliners, good music and good vibes. For some artists, it is life or death for their music careers. Music festivals have huge headliners to get people to buy their tickets, but the weekend events are filled with small-time music artists waiting for their big break. Essentially “opening acts” for the names that are the biggest on the music venues. Just last night the chart-topping electric dance group, Krewella, brought down the Cleveland’s House of Blues during their sold out event that had fans soaked head to foot from raging so hard. With the fan base the EDM group has, you wouldn’t have guessed their road to success would take so many years. In an interview with Bing lounge, the sisters talk about their long years of dedication to make it in the show business. After actively sending in demos with no response, Krewella was picked up by Columbia Records through a website called “We are Hunted.” Then came the huge, popular music festivals and the rest is history. Since these festivals, Krewella just released a new album called “Get Wet”, collaborate music with big-time EDM artists such as Benny Benassi, and continue to sell out shows around the US. Oh, and are now the big headliners in all the upcoming music festivals. Although Krewella is known, and definitely rated (as a success), many artists wishing to share their talents with the world can have their big break on stage in front of thousands. Danika Holmes, an independent indie artist determined to make it big, took matters into her own hands to play on the main stage at the Heartland Jam Music Festival alongside Eric Church, Dierks Bentley and Gretchen Wilson. After months of contacting the festival talent buyer with no response, she had a new idea. Danika used Facebook (who would have thought?) and started a campaign to “get Danika to the Heartland Jam!” Thanks to her fans, hours later she was booked on the main stage. Not only does this story a great inspiration to all that want to start their own little campaigns, but again this ties back to using social media to get recognized. Since her little campaign and opening for Heartland’s big headliners, Holmes has moved to Nashville to continue her dreams to create music for people to enjoy. Want to possibly see history in the making? Here are the upcoming music festivals for 2014. I highly recommend going to a festival at least once in your life. Using social media to show off your talents.. Thanks to this generation’s social media, putting yourself out there to get discovered can be on your terms. No longer does it involve a long process of hiring “experienced” mentors or waiting for the next time American Idol comes to a city near you. One of the most popular social media apps, Vine, has opened opportunities for inspired musicians, comedians and marketers. 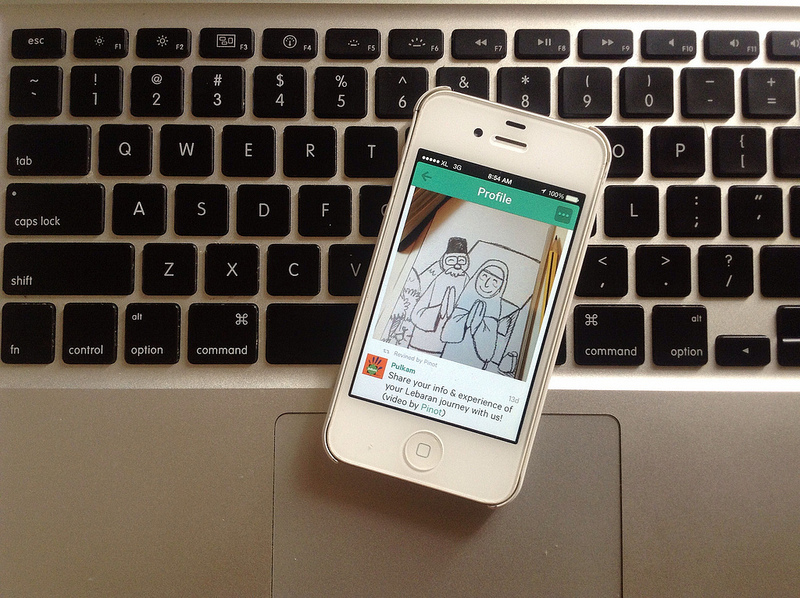 Vine is Twitter’s video app that allows people to take 6-second loop videos. Original app has made some changes since its debut in January 2013 and the new updates on the app allows people to “revine” to share with their followers (like a retweet). According to The 7th Chamber’s article about Vine, studies show that a branded Vine is four times more likely to be seen than a branded video. So, for all those inspired musicians out there, here is a little advice. Be creative when using today’s social media opportunities and separate yourself from the rest. Below are examples of some of those musicians that have done just that with Vine. Tori Kelly, a singer/songwriter, auditioned for American Idol season nine in hopes of becoming a famous singer. She made it through the first series of rounds, but never made it to the “Top 24.” Although her online bio says that she had many appearances on shows and recording with other recording artists, I have never heard of her. I first saw her when she came up on my news feed in the “popular” category of Vine. In this 6-second video, Kelly is singing a simple song but her voice is absolutely beautiful. Now, Tori now has over 500,000 followers and an album set to release on October 22. And…even has a few other vine-famous comedians, Brittany Furlan, mimicking her vine..
Other popular musicians on Vine..
Of course there is the heartthrob that has all the teenage girls squealing. I was there, I know the feeling. Trevor Holmes, born in California, has over 100,000 followers that tune in to his daily vines which consist of him and his guitar. He sure is using his looks and fan base to his advantage as well. He posted a vine asking girls to hashtag “my song contest” in their vines to get a song played for them on his next vine. Guess what, it worked! Girls were tagging him in their posts and hash tagging his idea all over Vine which generated even more recognition. It’s not all about how great your voice is either through this app. Musicians are showing their skills with instruments as well. Trench, the “finger-style guitarist” has over 160,000 followers. All of his vines entail him strumming on his guitar. Whether is is outside, in a dark basement, or his cute dog looking at him in the background to give the videos different scenery. All the songs he plays are covers, and, well, he is really amazing. I am a sucker for an acoustic guitar so this could be why I like him so much, but he is worth checking out. I feel like using social media resources to set yourself apart from others has been pounded in my head since I began my public relations journey at KSU. It’s true, not just for public relations majors but for everyone. Anyone with a passion has room on the web to share, in their own way. I am currently in possibly one of my favorite moods. The combination of kicking my feet up after a long day, laying in my comfortable bed, drinking my favorite fall coffee, burning my mellow candle and listening to some awesome music. Not music I have been listening all day on my car radio, either. Music I discovered myself. I am pretty excited about this band, Whiskey Autumn. This diamond in the rough is the reason why I love looking for weeks to find music worth discovering. It’s not so easy looking for bands that have yet to hit the radio, and this time there wasn’t much searching needed. It was the combination of luck and curiosity. I was looking at a bunch of bands on YouTube, usually a good place to find new music, when I came across a comment under one of the videos talking about them. In the matter of minutes, I racked up my not-so-small iTunes bill. But on the bright side, my 45-minute commute to Kent for class tomorrow doesn’t seem too dreadful. Want to know the best part about them too? They use the harmonica in pretty much all of their songs! I am such a nerd for interesting instruments used in songs like the harmonica or the Ukulele. When they can incorporate these instruments into modern music, I just melt. It has to be “You Belong to You, I Belong to Me.” This was the first song I listened to before I sat up out of my laziness and decided this is the band I have to share with all of you. Lyrics are pretty good as well. What do you think? If you agree with me you have to be wondering why they haven’t been discovered yet. Well, yeah, some problems here. This has got to be the reason why they aren’t opening for John Mayer yet or getting ready to play at some hippie music festivals. After I listened to them on iTunes I looked at their homepage. This website contains one picture of them, absolutely no links besides to their social media, and a small “Bio” on the left side. They are hard at work on their new album coming out soon. This is quite exciting and I will be keeping my ears open! This band deserves some recognition guys! My first blog hits close to home for me. Although I wanted to do a lot of research on many upcoming bands and chose my favorites, this particular band was already in my head while I was developing the idea of this blog. My goal is to write about bands that deserve to be praised for their excellent talent and this particular band is the one. Ryan Kelly, my big brother, came to visit me a couple of weeks back with his fiancé. After a long day in Ohio City, catching up over drinks and good food, my brother introduced me to a very impress ive band, “Fifth and Main”. Their music reminds me a lot of the 90’s band eras, one of my favorite times of music. When I first heard the song “I Still Have Life”, I instantly thought of The Goo Goo Dolls. Do you agree? Also, instead of having one solid lead singer, you hear more than just one voice. We don’t see that in music now-a-days. Brothers Brady and Jack Stablein share the stage with their unique sounds. 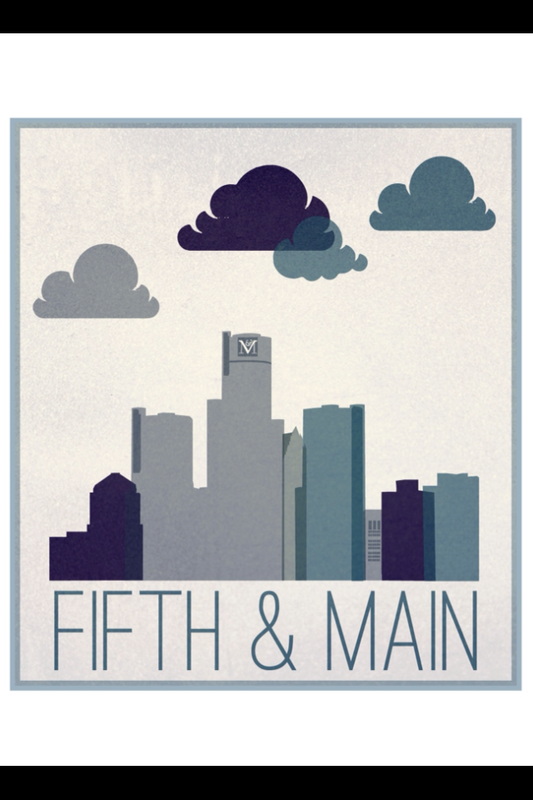 On their social media sites, “Fifth and Main” repetitively mention their ambition to “take over the world.” I love this because they are passionate about what they are doing and it shows. They are aggressive about getting gigs around the Michigan area at little pubs and bars. Music aside, it is time to put a little bit of my PR advice out there. I think they are doing an amazing job with their audiences through social media. They communicate one-on-one on their Twitter and FaceBook sites. Their Twitter feed is full of a bunch of retweets from fans pleading to the audience about checking out their soundcloud “pronto before they get huge.” They also keep their fan base updated on news about their band. Back in April, they posted a FaceBook status update about the additional band members, Sam Clayman and Max Schafer. Their “team” is not so bad as well. While in Ohio, my brother carried business cards on him and handed them out to people interested in having bands come play at their spot. This to me is all good PR.